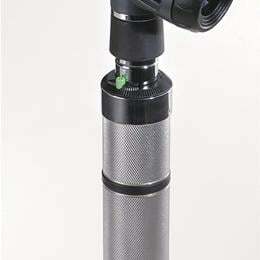 Diagnostic Macroview Otoscope With Throat Illuminator Eliminates The Need For Two Instruments. The Macroview Otoscope With Built-In Throat Illuminator Provides 30% More Magnification And Twice The Field Of View Of Traditional Otoscopes, Along With The Ability To Adjust The Focus. Bigger, Better, Sharper View For Faster And More Efficient Ear Examinations. Otoscope With Throat Illuminator, (Head Only).